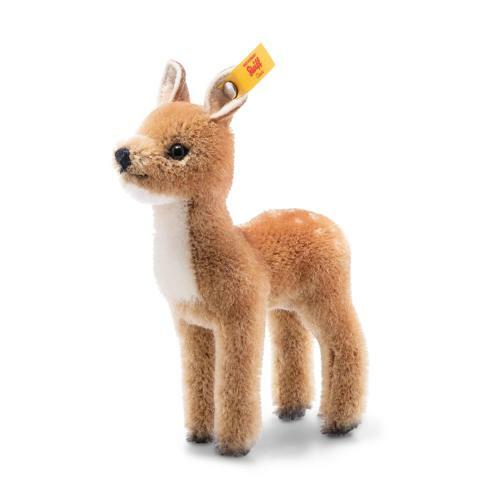 This elegant fawn is a collector's item made of fine brown mohair and is intended exclusively for grown-up Steiff fans. His eyes, hooves and ear tips have a black tone. His head, body and inner ears are the perfect shade of brown. Careful stitching was used to create his nose and mouth. The neck and spotting feature white mohair that stands out from his brown body. His ears are made of pure felt. The lovely gift box in an animal print accentuates his special value.